PowerScore Test Preparation, has released 2 new LSAT publications: The PowerScore LSAT Reading Comprehension Bible Workbook and The PowerScore LSAT Logic Games Setups Encyclopedia Volume 3. These latest publications join a formidable lineup of best-selling publications focused on teaching students how to obtain a competitive score on the LSAT (Law School Admissions Test). 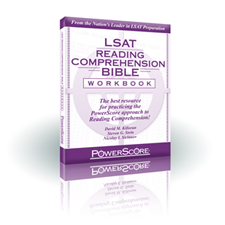 The PowerScore LSAT Reading Comprehension Bible Workbook, a companion to The PowerScore LSAT Reading Comprehension Bible, contains twenty complete reading comprehension passages, reproduced in their entirety from actual past LSATs, along with multiple drills that focus on reinforcing the skills students need to effectively attack the Reading Comprehension section. The answer key provides an extensive breakdown and analysis of each passage, and each question and answer choice is explained. This 254-page publication is written by PowerScore founder David Killoran and PowerScore LSAT Experts Steven Stein and Nicolay Siclunov. 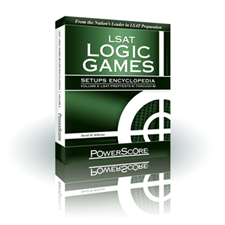 The PowerScore LSAT Logic Games Setups Encyclopedia Volume 3: LSAT PrepTests 41-60 provides extensive discussions of each and every game from LSAT PrepTests 41 – 60, including complete game setups and detailed analyses of the rules and inferences for each game. Every single question is clearly explained by the author of the renowned PowerScore LSAT Logic Games Bible, using PowerScore’s patented techniques, strategies, and overall approach to the Logic Games section. With expansive discussions of 20 full game sections, and 80 logic games, the Setups Encyclopedia provides the most complete and effective solutions available. The 447-page PowerScore LSAT Logic Games Setups Encyclopedia Volume 3 is written by David Killoran, founder of PowerScore and author of the bestselling The PowerScore LSAT Logic Games Bible.